John Henry Cannon, my grandfather, was born 1866, the eldest of seven children of Philip and Sarah Cannon. His father, Philip, was a horse-collar and boot maker and is remembered on the choirstalls in Ardeley. John’s Uncles and Grandfather were Blacksmiths in Wood End and Ardeley. Philip died in his early 50’s. Leaving John to provide for his widow and six other children. John had learnt his Father’s trade and duly taught his brother Charles, Philip?s second son, who subsequently set up his own business in Tottenham. In 1893 he met and married in March 1894, Lily Dear. She was in service at Ardeley Bury, but a native of Abbots Ann in Hampshire. 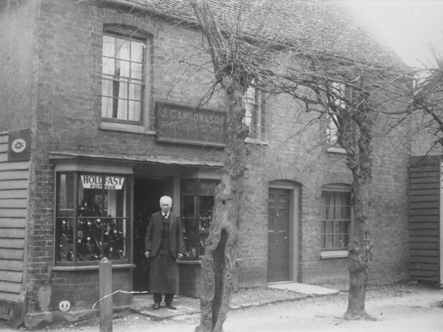 In 1894 they moved to Walkern and became tenants of the house in which my family now reside (at the corner of Winters Lane and the High Street). John and his relatives, tenanted the whole of the area between Winters Lane, Cinder Lane (the end of Totts Lane) and the Yew Tree Public House, bounded on the west by the High Street. The area included the old Allotment Field (where the new development is) and Land Field, which extended down Winters Lane on its south side, where the bungalows are now erected. The other Cannons were dealers in eggs (egglers) and general dealers (higglers). 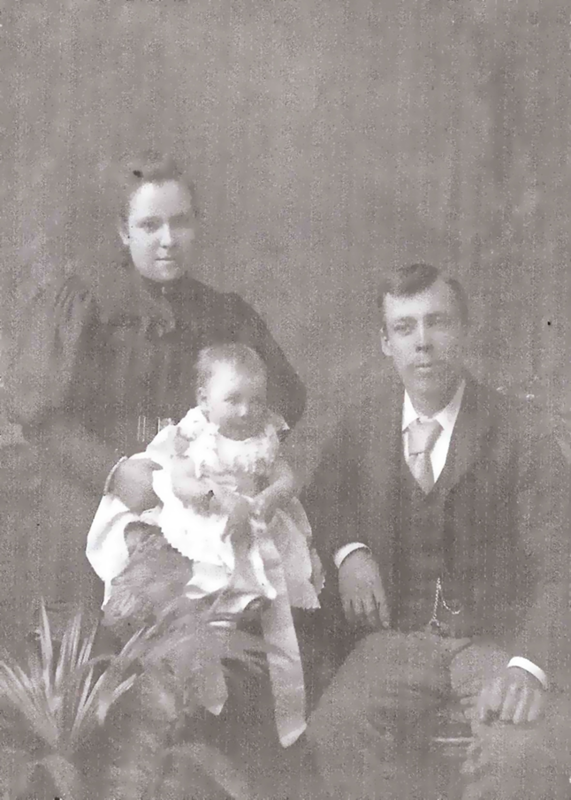 John Henry had five children between 1895-1907 – my Father was the youngest and only son. The second eldest daughter was Beatrice, who became the wife of Cecil Ritch, the last tenant of Finches Farm. I remember going up to the shop twice a year for lace-up shoes in the winter and school sandals for the summer. I always loved this twice yearly event, the smell of leather, the measuring of feet and the shine and feel of my new shoes. I took family shoes up for repair, and I think I had my first senior school satchel from the shop too. I remember the limes, what a shame they had to be removed. I still call Winters Lane, Cannons Lane!